Do you know what a potato gun is? If you had asked me a few days ago I would have thought it was a gun that shot whole potatoes at a target. I learned differently when I visited North Haven Grange recently. A potato gun looks like any other toy gun you can buy at a store. To load the gun you simply insert the end of the barrel into a dry potato & pull out the plug. As potatoes are comprised of nearly all water, potato pellets are safe for kids or adults all of ages to have some fun with. One number on the program found each member taking shots at a turkey for their Thanksgiving dinner. This was an excellent example of having fun while learning. North Haven is one of our smallest Granges, but they have some of the best programs in the State. 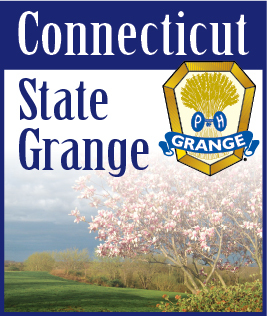 It is a good example that you don’t need lots of members to put on a good grange program. Merry Christmas to everyone. Hope to see you around the State.